Orthodontist Freeport IL Braces | Dennis J. Flanagan D.D.S. M.S. Orthodontist Rockford and Winnebago, IL Braces | Dennis J. Flanagan D.D.S., M.S. Whether a child, teen, or adult – visiting the orthodontist is a very different experience than in the past. Dr. Dennis Flanagan and his talented team have been creating beautiful smiles in the Rockford and Winnebago, Illinois (IL) area for years! Combining experience with advanced education and personal care, we strive to bring you only the best orthodontic treatment options available including state-of-the-art braces and Invisalign clear aligners for those who don’t want to be seen wearing braces. We focus on cutting edge technology and are dedicated to improving the health, appearance and self-confidence of all our patients we serve. 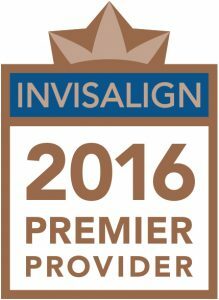 Our goal is to make orthodontic treatment affordable with high quality treatment that fits your budget! We offer non-interest payment options and accept direct insurance from most insurance carriers. Your time is valuable, and we respect that. We offer convenient office hours, fast and effective treatment, and our team is always available when you have questions or need assistance. We run “on-schedule” so that you can too! Please use this site to learn more about orthodontic treatment and our practice. Contact our office today at one of our two convenient locations today in Rockford and Winnebago, IL to schedule a complimentary smile exam. Our orthodontist and team look forward to meeting you and showing you how getting braces has never been easier! Also serving surrounding communities of Belvidere IL, Byron IL, Pecatonica IL, and Loves Park IL.